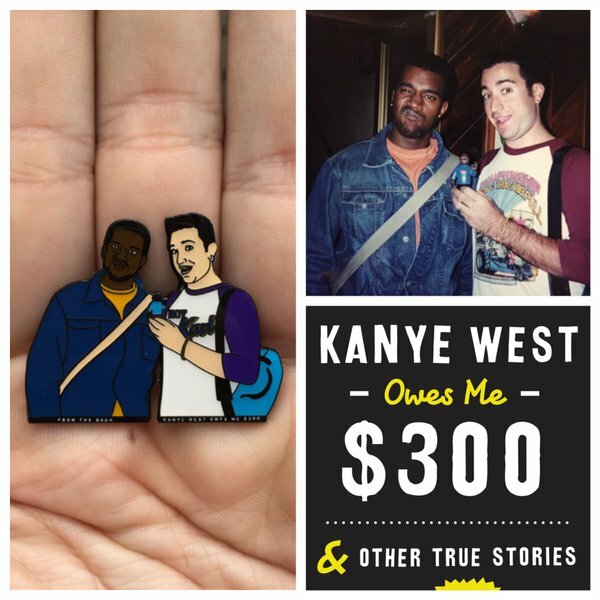 If you preorder my book right now, you can get this second pin FOR FREE. 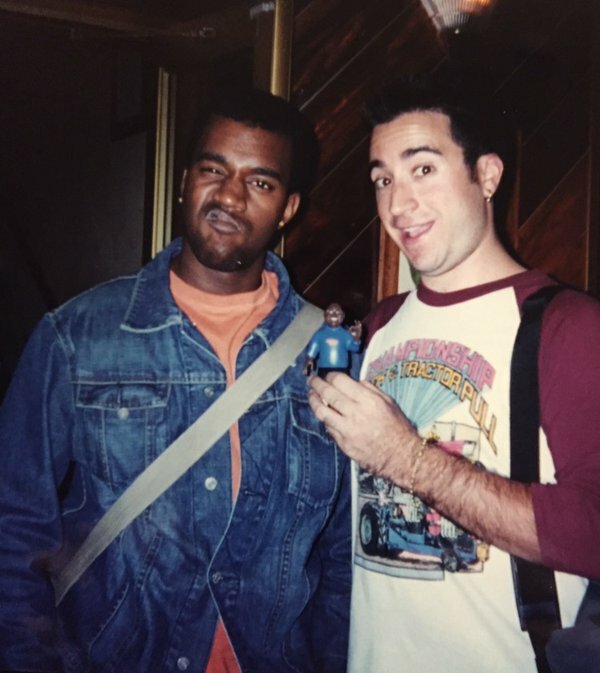 It’s me and Kanye back in 2000 looking young (and optimistic) af. BEST FRIENDS FOREVER (he didn’t owe me money yet). 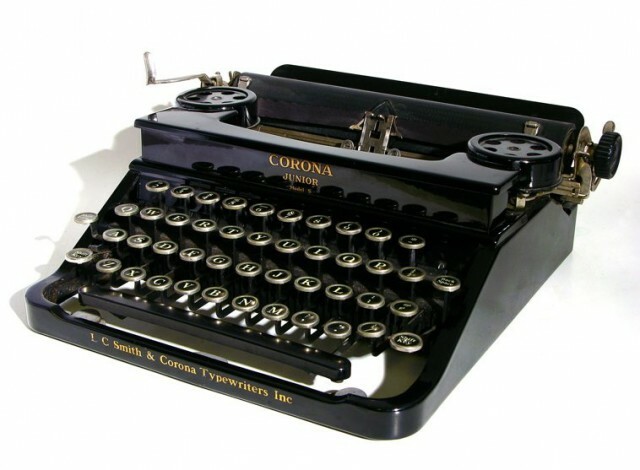 All you have to do is preorder a copy, and then CLICK HERE. 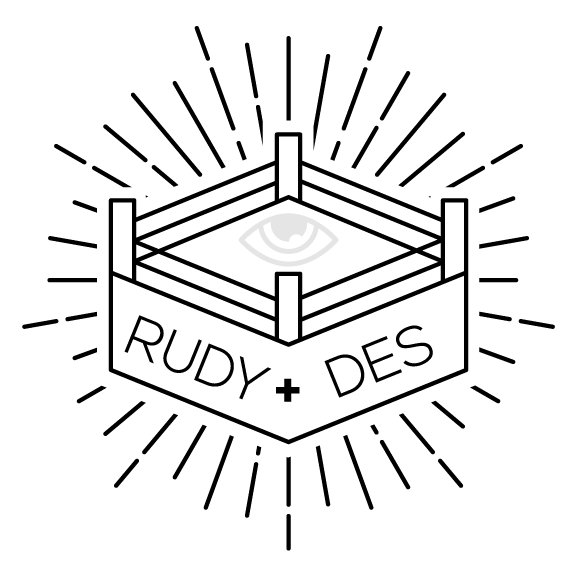 I was stoked to guest on Sam Robert’s Sirius XM radio show, which is now available to hear, in full, online. 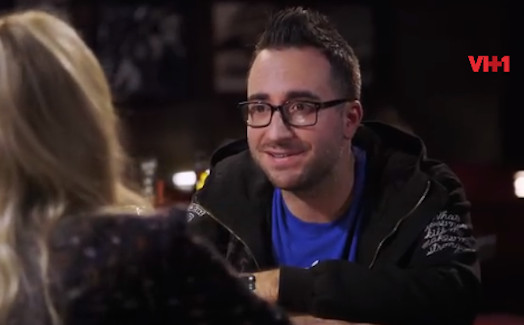 It’s an hour long interview covering basically everything I’ve ever done and everyone I’ve ever known. I visited the Comedy on Vinyl podcast to talk about my book and praise Weird Al’s masterpiece, Dare To Be Stupid. 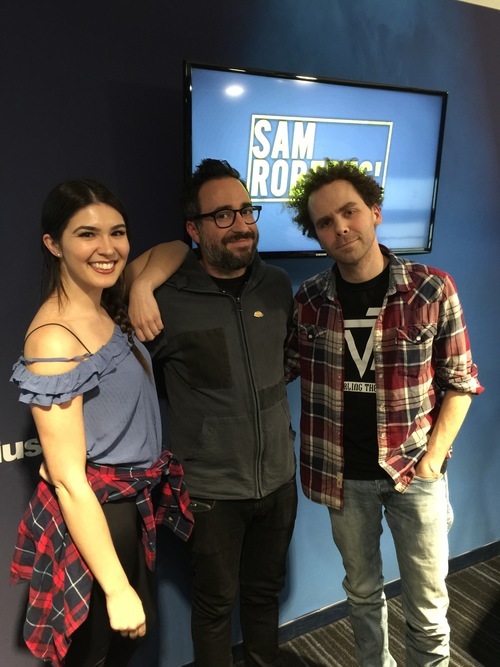 I had a lot of fun over on the Food is the New Rock podcast with Zach Brooks. 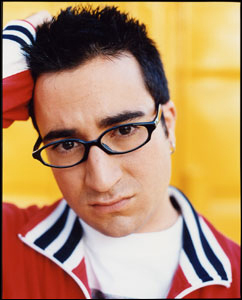 We talk a lot about Hot Karl, Judaism and food in general. 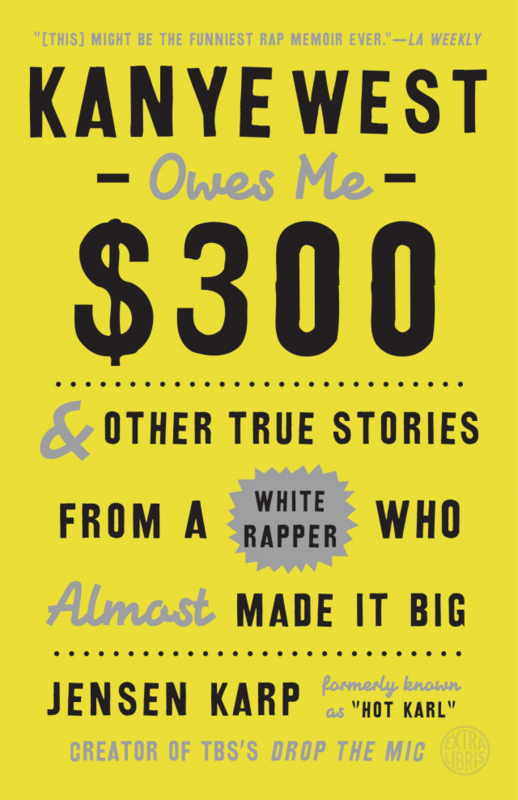 I am giving away 10 free advance copies of my book, Kanye West Owes Me $300. Just go to my Twitter, and RT the pinned tweet announcing the contest. And pray a bunch. 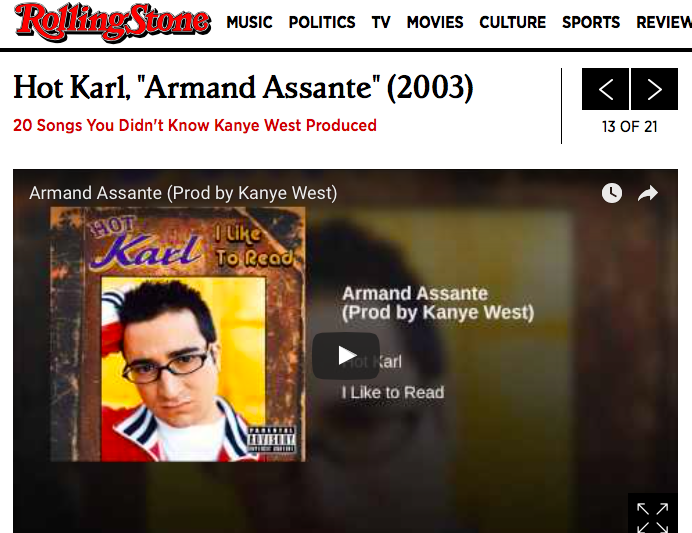 My song with Kanye West, “Armand Assante,” was listed in an article about 20 Songs You Didn’t Know Kanye West Produced (with a nice mention of my book). 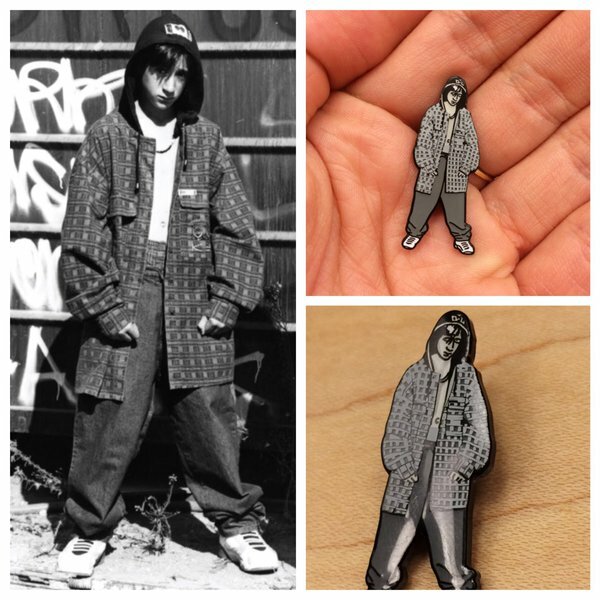 If you preorder my book, you can get a FREE hard enamel pin of 12-year-old Rap Jensen that I had made, Cross Colours and all. It’s super easy to do and it’ll look better on you than it did on me. 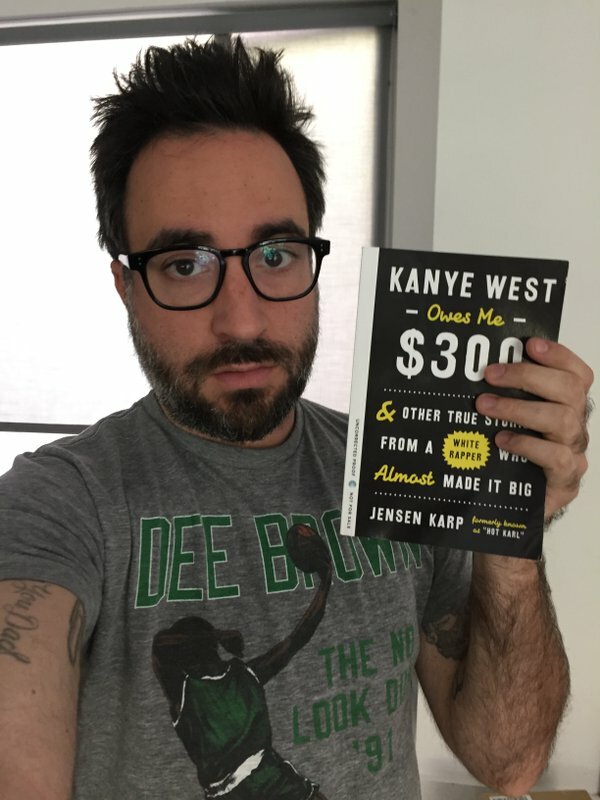 Learn more about the photo, the book and how to get one of these pins by CLICKING HERE.